Our son Max was born at 28 weeks following a worrying few days in hospital after I had had a bleed and very bad back pains. I was put on the monitor and was having a lot of tightenings and they decided to keep me in as a precaution. I had 2 steroid injections and stayed in for two nights. The bleeding had slowed and my 'irritable uterus' had calmed down so they sent me home on the Friday morning. All weekend I felt strange and uncomfortable and on the Monday morning I woke at about 5.30am and had 4 painful tightenings within the hour and so went back into triage to be checked over again. I had blood tests and was put back on the monitor and my 'irritable uterus' was tightening up again. I was kept in again for monitoring. The next day (Tuesday) was very strange and I woke up after a nap at about 3.30pm with pains again. I was examined and I was suddenly 5cm dilated and was wheeled down to the consultant-led unit delivery suite. The rest of the evening was a bit of a blur and Max was born at 10:43pm weighing 2lb 15oz. 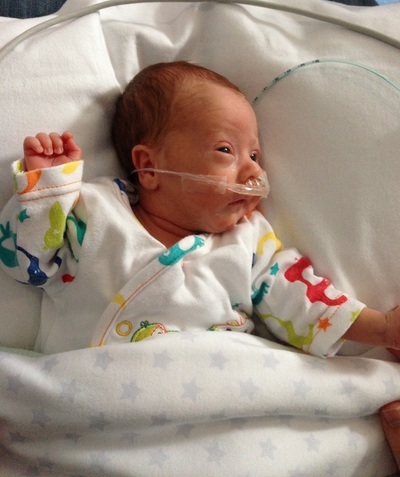 He was immediately whisked away to the neonatal unit where he was stabilised and ventilated. It was such a scary time and me and my husband Glyn were both in complete shock and couldn't quite process what was going on. Max stayed on the ventilator for about a week until he was put on to bipap and after a week we were finally able to hold our beautiful son. It was the most agonising week ever waiting for that. 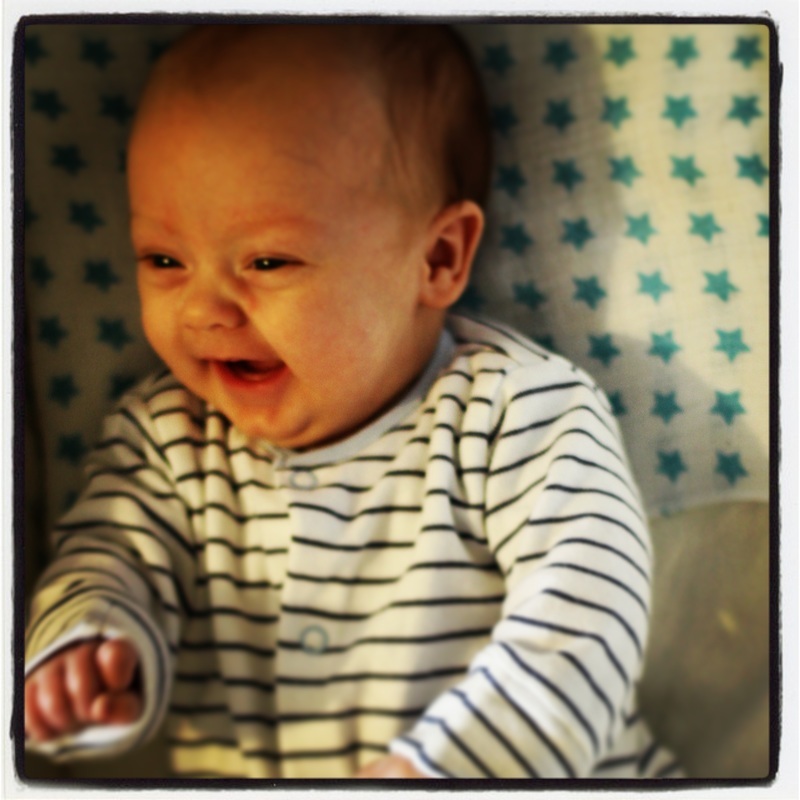 He then went onto cpap and after about 2 1/2 weeks Max was moved into high dependency. We spent 2 weeks in high dependency and then another 4 weeks in special care. In that time Max had several days of phototherapy for his bruising and jaundice, kidney worries, 2 blood transfusions, reflux, a worrying infection and his oxygen requirements were slowly reduced until he was finally able to breathe unaided after about 7 weeks. He was such a fighter and after 8 1/2 weeks we finally went home! We have never been through such a scary and traumatic time but we couldn't have got through it without the support of the NICU nurses and doctors at the Lister hospital, the new friends we made along the way, our family and friends and of course our amazing and strong, beautiful son who continues to amaze us every day. 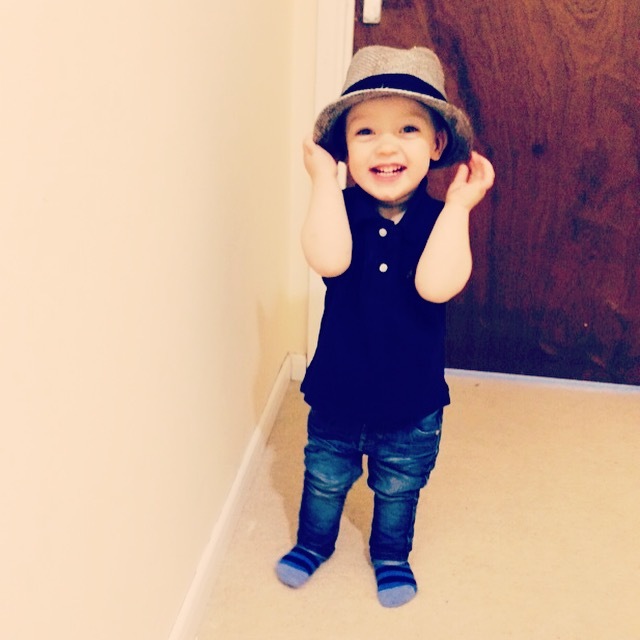 He is now a very cheeky and loving 22 month old who walked at 15 months and talks nonstop!! He has only one working kidney and is currently under the care of GOSH and consultant at the Lister but is doing so well and is a true inspiration to us.